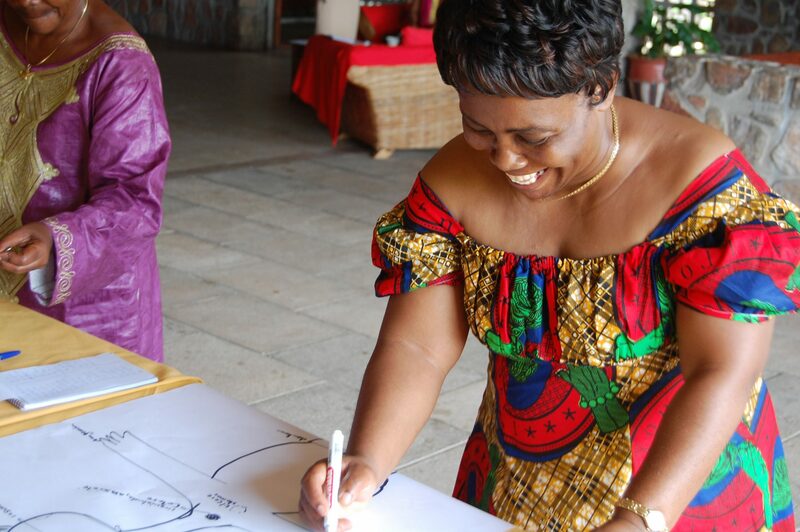 Kvinna till Kvinna has supported women’s rights in the Democratic Republic of the Congo (DRC) since 2009. 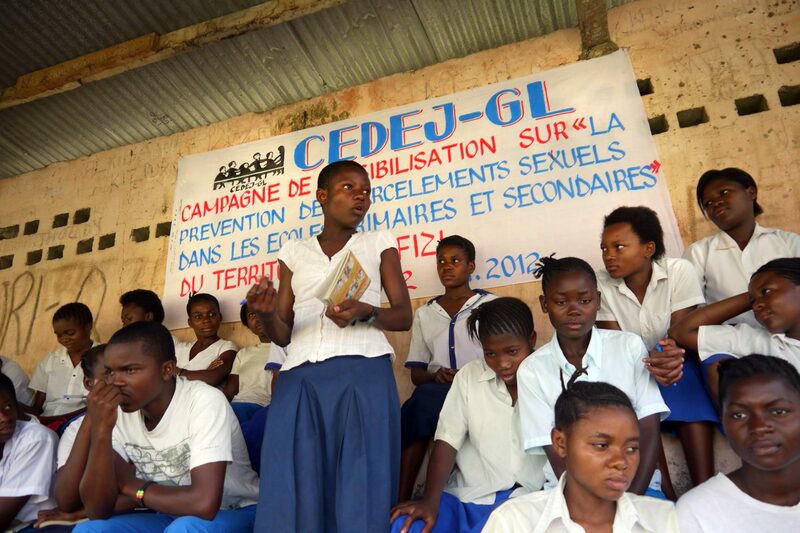 Women in the DRC face significant obstacles to accessing political power, economic resources and basic services. Two out of three women are subjected to physical or sexual violence during their lifetime. Our partners work to challenge discriminatory gender norms and increase respect for women’s rights. The Democratic Republic of the Congo (DRC) has seen over 20 years of war and violent conflict, claiming more than 5 million lives. Nowadays, episodes of violence still occur throughout the country. At the root of the violence we find exclusive and dysfunctional forms of governance. These stem from systems of power that justify male dominance over women, and prevent women from influencing decisions that directly affect them. As a result, women’s political participation is worryingly low: less than 8% of national-level decision-makers are women. Economically, their influence is limited too: 60% of women in the DRC live below the poverty line. In the agricultural sector, women are overrepresented but still forced to rely on men to access land. Violence against women is pervasive. The UN estimates 2 out of 3 women are subjected to physical or sexual violence during their lifetime. Most commonly, the violence occurs at home, perpetrated by a woman’s intimate partner. Optimistically, women’s organisations from across the country have joined forces and formed the Rien sans les Femmes (Nothing without Women) movement, to promote equal representation in state institutions. provide limited core funding to a youth organisation working for equality in Uvira territory, to enable them to leverage funding from other donors. We conduct our DRC operations from our head office and our Bukavu office in South-Kivu. In 2015, women’s rights organisations from across the DRC united in a campaign to get gender parity written into the electoral law. Today, their Rien sans les Femmes movement is respected nationwide by the authorities.